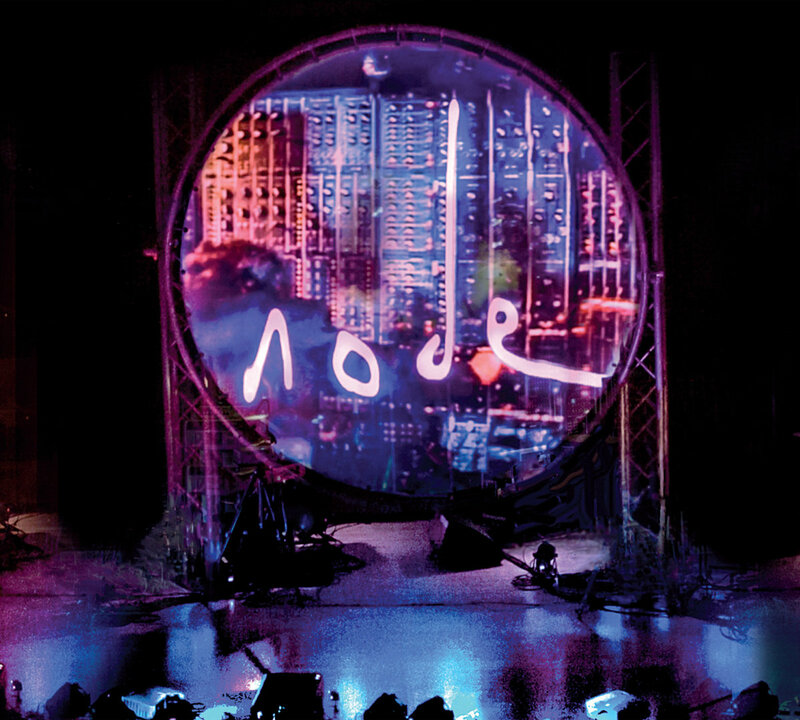 Synth supergroup Node don’t do things by halves so when they decided to perform an all to rare concert in London in 2015 they chose non other than the auspicious venue of the Royal College of Music. It’s almost certain that those hallowed halls have not seen such an assemblage of vintage and modular gear before, although indeed that could be said of anywhere else one can care to imagine. The four members of Node, maverick producer and sonic legend Flood, renowned producer and composer Ed Buller, classically trained Doctor of music Dave Bessell and Hollywood film composer Mel Wesson not only have between them a vast arsenal of synth gear to draw upon but they also know how to use it in a live performance. Indeed this is no mean task as without the safety net of a backing track all those myriad knobs, dials and switches have to be manually tuned and set up, a task that took the intrepid quartet plus their road crew several hours to complete. Why bother one may ask in this world of computers and plug ins? Well simply because they can! This is a performance, a unique event never to be repeated. It’s a show where the physical presence of all that ancient, creaking analogue equipment is as much part of the performance as the music itself. And of course there’s the sound these instruments make, a huge pulsating wall of analogue warmth that can rise from a delicate whisper to a mind numbing crescendo of noise at the whim of the performers. 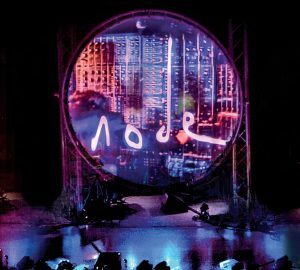 “Node Live” includes edits of four tracks from the concert as well as a bonus piece recorded at the groups rehearsal for the event. Released as a limited edition run of 2,000 copies in a beautiful fold out digipak featuring a stunning widescreen live group photo spread across the front and a photographic booklet enclosed this is a must for lovers of Berlin School inspired sequencer music.